Each owner of a home or townhome is requested to vote on the CC&Rs. In order to vote a ballot must be completed and returned. 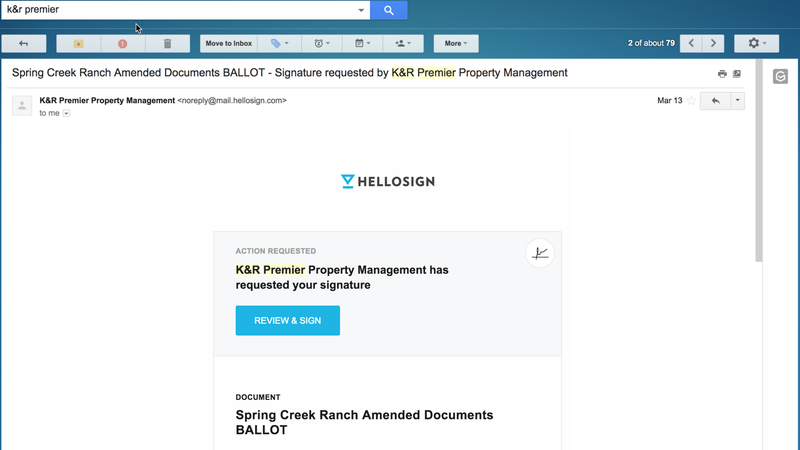 K&R Premier Property Management emailed a ballot created with Hello Sign to every owner to which we had an email address. Click the link in that email to sign this digitally. If we did not have an email then a paper copy was sent to the owners residence. Use the search tool to find emails from K&R Premier Property and you'll find the ballot. Find the latest email from them and click the link to fill out the ballot. 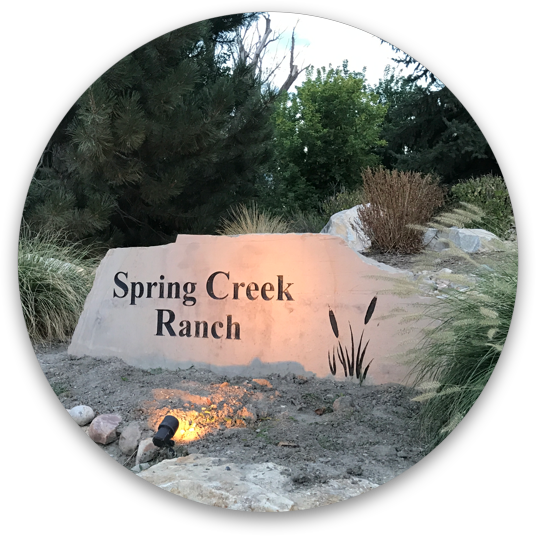 If you cannot find the email you may open/print this PDF and sign it and email a picture of the signed ballot to board@springcreekranchhoa.com. Several people have requested to know what the major changes are between the current CC&Rs and what we are proposing. Here is a list of changes. The townhomes can receive a reinvestment fee, paid by the purchaser, when a townhome is sold (5.19(4)). Sets guidelines for the Townhome Committee in determining dues as well as stipulations for handling the dues should the guidelines not be followed (6.1 of the Bylaws). Removing all language requiring us to pay the developer to take care of the land by the creek. (Necessary to change since the HOA now owns the land by the creek). Clearly defining the relationship of the townhomes and single unit homes. Properly aligned responsibility for townhome expenses to be covered by townhome owners. Bring the CC&Rs in line with current legislation, such as electronic communication and voting, solar regulations, reinvestment fees, etc. Reduce powers, and set regulations regarding the Board’s access to lots and residences. Allow for owning chickens according to current Lehi City guidelines. Allow vehicle maintenance in the driveway if not left overnight. Cohesive language throughout instead of the copy and paste from other CC&R documents.